The cease-fire between Israel and Hamas enters a second day. An Afghan soldier kills an American general. And Russian hackers steal more than a billion Internet user names and passwords. Truce holds: With negotiations for a longer-lasting cease-fire set to begin soon, many Gazans have returned to their neighborhoods. For now, the 72-hour humanitarian pause is holding, allowing Israeli and Palestinian delegations to gather in Cairo, Egypt, to talk about how to make the truce last. For Gaza's 1.8 million residents it also offered a chance to go to a street market for food and goods, or to check on abandoned homes. Some, fearing the violence would return, remained in shelters. Insider attack: An Afghan soldier opened fire at an Afghan training base yesterday, killing an American two-star general and wounding 15 coalition forces. The assailant was killed. 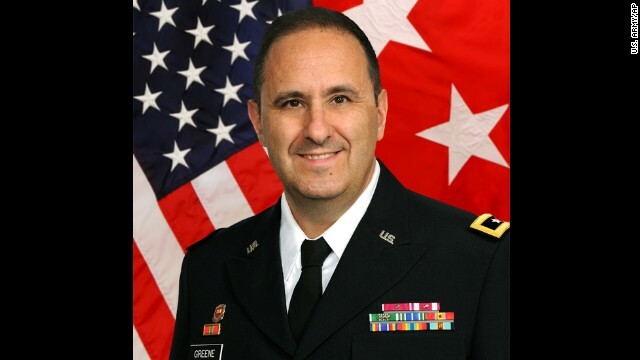 Maj. Gen. Harold Greene is the highest ranking American officer to be killed in the Afghanistan war and the highest ranked to die in combat since a brigadier general died in Vietnam in 1972, Pentagon records show. The attack appears to be the latest incident of a so-called "insider attack." That's when Afghan soldiers turn on American and coalition troops. Stopping a killer: The social media outcry against bringing Ebola patients to the United States has been almost deafening at times. Folks are upset that a known killer virus is being imported into the country. - The virus is fragile and doesn't spread easily, only through direct contact with infected fluids. - Common-sense hygiene can stop it. - American hospitals have the resources to contain it and are trained to handle Ebola. - Airports are on alert - both in Africa and the United States - to catch passengers who have symptoms. Doling out the secrets: Move over Edward Snowden, there's a new leaker in town. A story published this week by the online news website Intercept cites classified documents prepared by the National Counterterrorism Center dated August 2013. That's after Snowden left the United States to avoid criminal charges. Government officials have been investigating to find out the identity of the person. Hacked: Russian criminals have stolen 1.2 billion Internet user names and passwords in what could be the largest collection of stolen digital credentials in history, a security firm said yesterday. That kind of makes last year's hack of Target, which compromised 40 million accounts, seem like small potatoes. The extent of the theft shows people need to better manage their credentials, cybersecurity experts say. Most people keep the same password for multiple services, such as banking, email and social media accounts. That allows hackers to turn a single password database into a treasure trove. –Musical pacifier: This kid loves Katy Perry. - Get the flock in here: This guy sure knows how to get his ducks in a row. - Clean doggie: Lena the rottweiler loves her showers. - Kind of breaking news: "Apparently" this kid is stuck on a single word. - Doe eyes: We have early evidence that quadrupeds are joining the selfie craze. What an adorable baby being pacified by Katy Perry's beautiful voice and music. Genius!!!!!!!! And then there's too cute Noah!!!!!!!! What a natural!!!!!!!! Finally there's Lena the rottweiler. Loved the way she tilted her head in the shower!!!!!!!! What a beautiful way to start the New Day!!!!!!! !